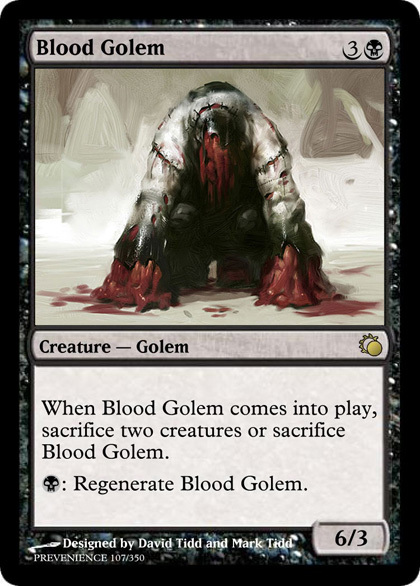 Blood Golem Creature — Golem When Blood Golem comes into play, sacrifice two creatures or sacrifice Blood Golem. 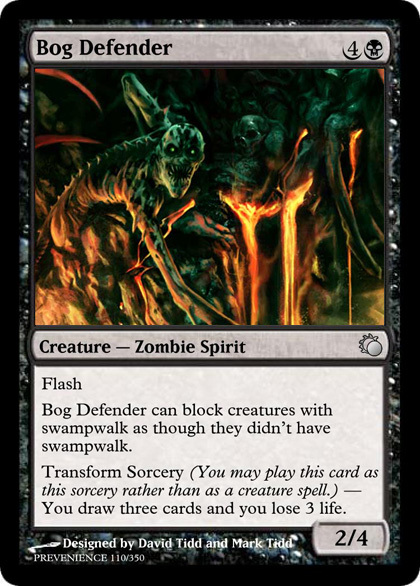 Bog Defender can block creatures with swampwalk as though they didn’t have swampwalk. 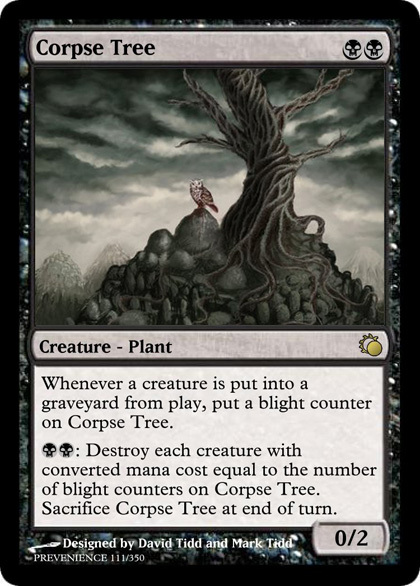 Corpse Tree Creature - Plant Whenever a creature is put into a graveyard from play, put a blight counter on Corpse Tree. 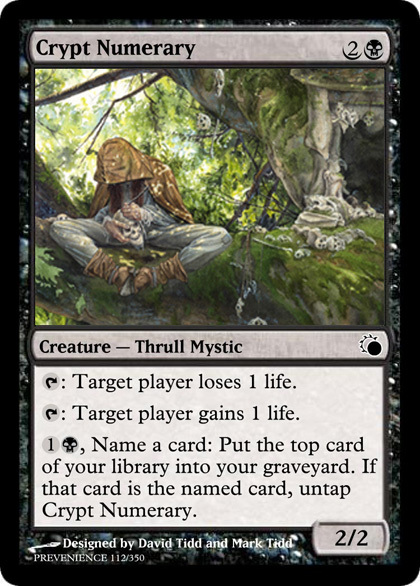 Crypt Numerary Creature – Thrull Mystic : Target player loses 1 life. 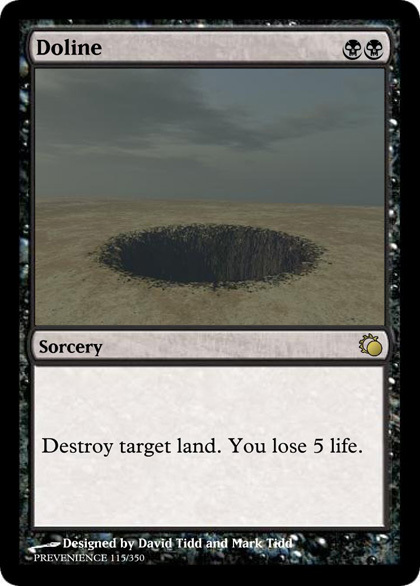 : Target player gains 1 life. 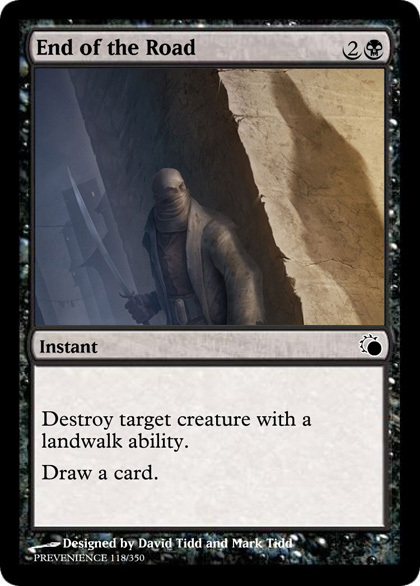 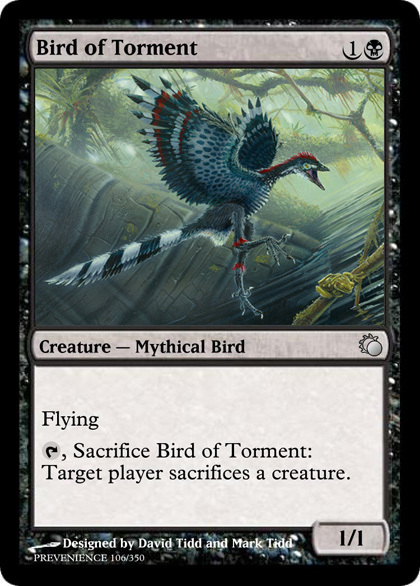 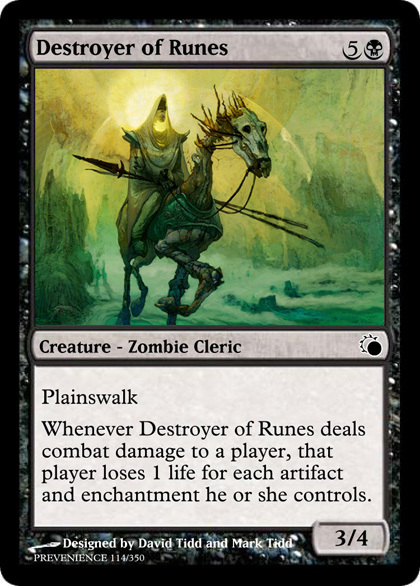 End of the Road Instant Destroy target creature with a landwalk ability. 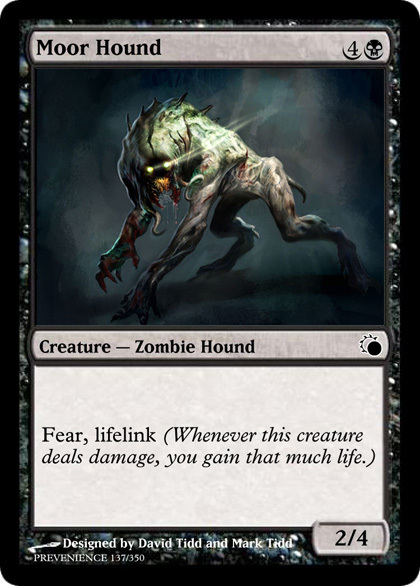 Frightened Lurker Creature – Zombie Minion When an Aura becomes attached to Frightened Lurker, sacrifice it. 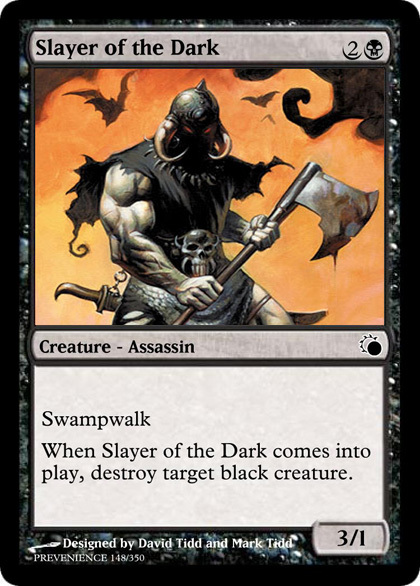 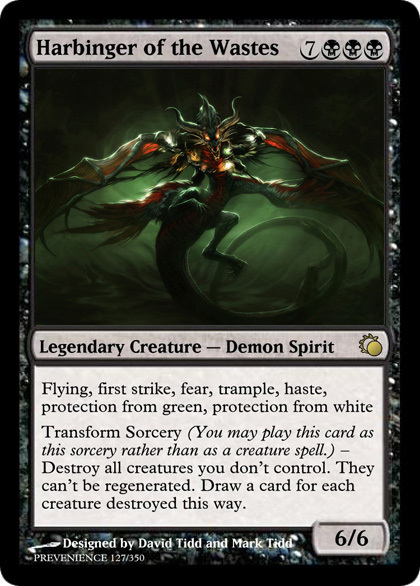 Graveborn Alliance Creature – Demon All creatures are black. 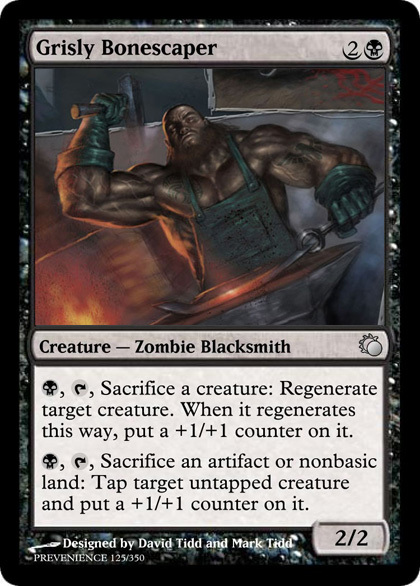 Grisly Bonescaper Creature – Zombie Blacksmith , , Sacrifice a creature: Regenerate target creature. 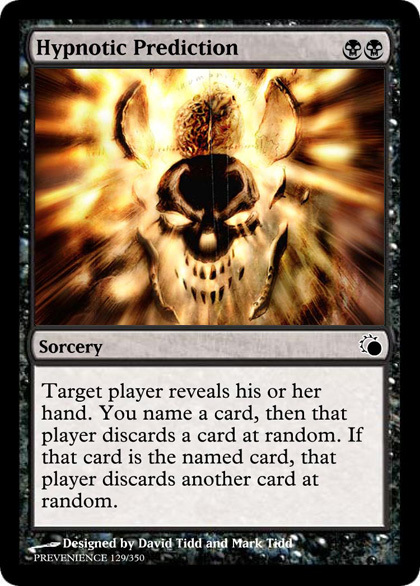 When it regenerates this way, put a +1/+1 counter on it. 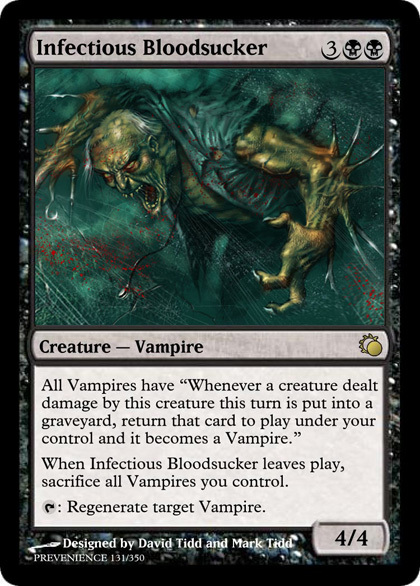 When Infectious Bloodsucker leaves play, sacrifice all Vampires you control. 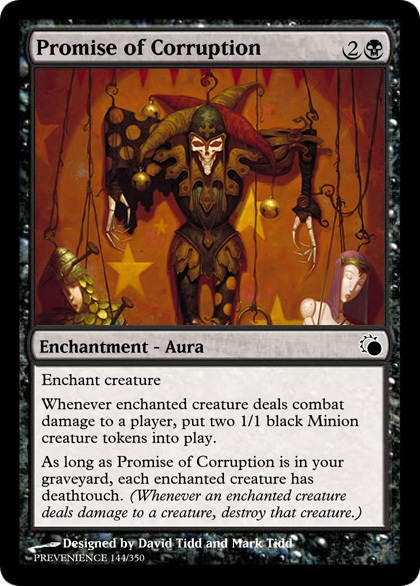 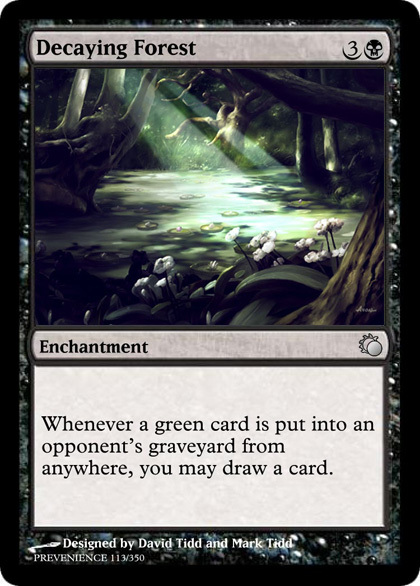 Infernal Pit Enchantment , Discard a card or sacrifice a nontoken creature: Put a 1/1 black Minion creature token into play. 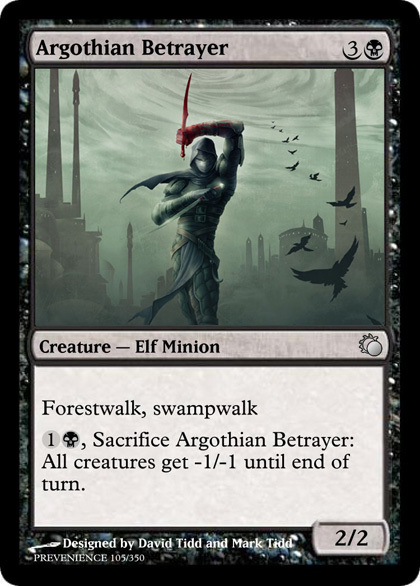 Levok's Taskmage Creature – Minion Wizard , Sacrifice X creatures: Target creature gets -X/-X until end of turn. 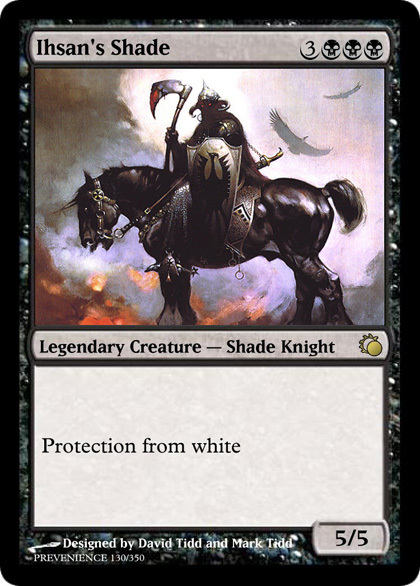 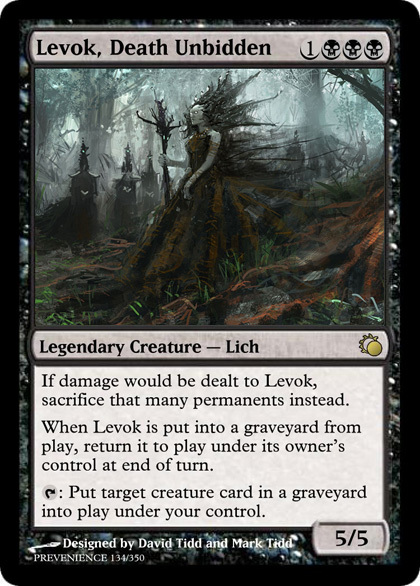 Levok, Death Unbidden Legendary Creature – Lich If damage would be dealt to Levok, sacrifice that many permanents instead. 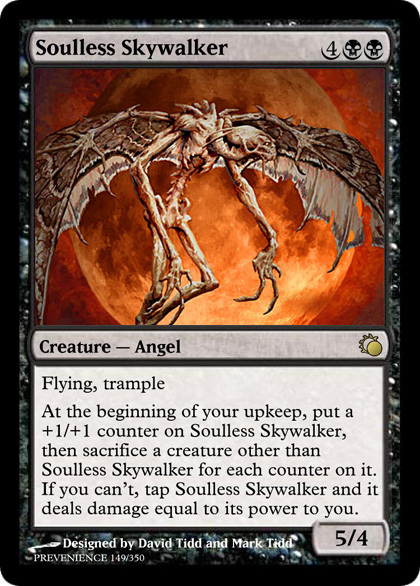 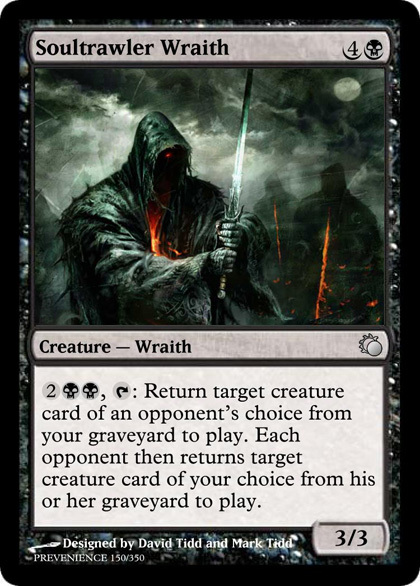 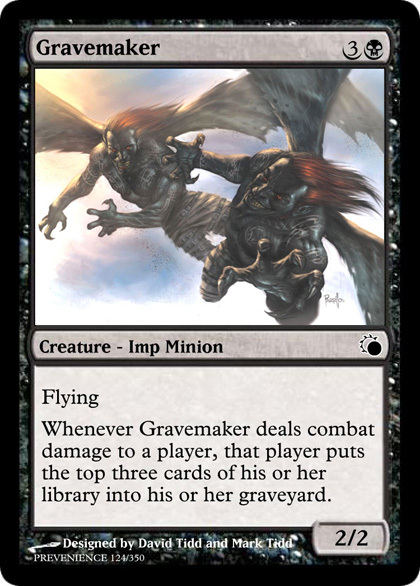 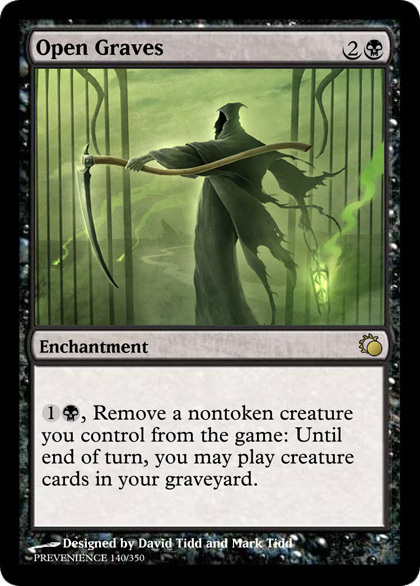 When Levok is put into a graveyard from play, return it to play under its owner’s control at end of turn. 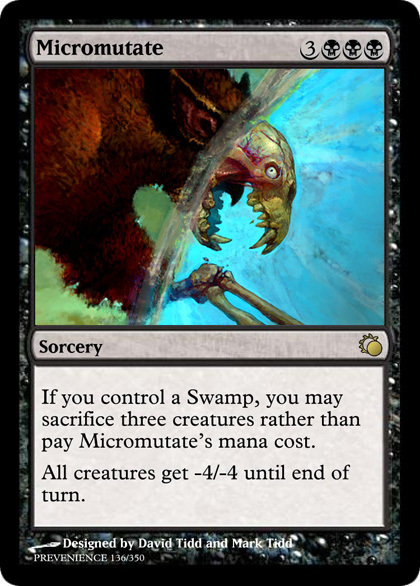 Micromutate Sorcery If you control a Swamp, you may sacrifice three creatures rather than pay Micromutate’s mana cost. 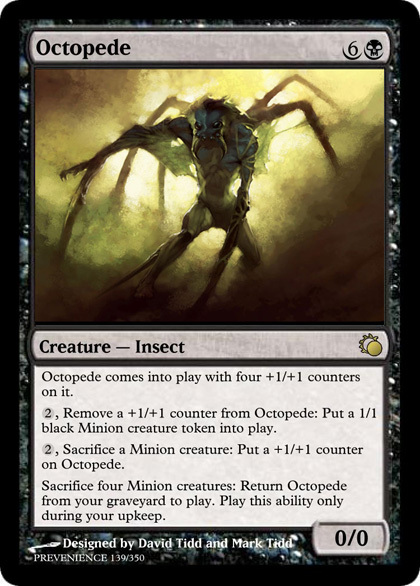 Octopede Creature – Insect Octopede comes into play with four +1/+1 counters on it. 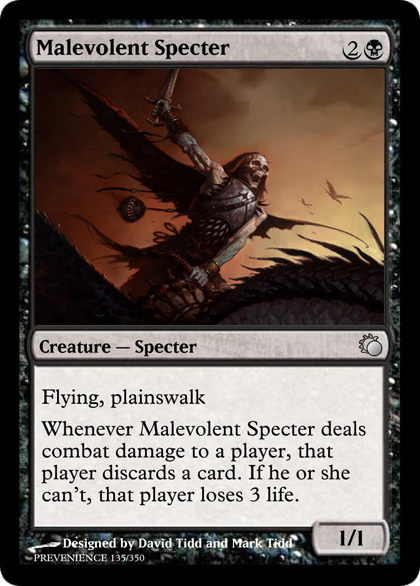 , Remove a +1/+1 counter from Octopede: Put a 1/1 black Minion creature token into play. 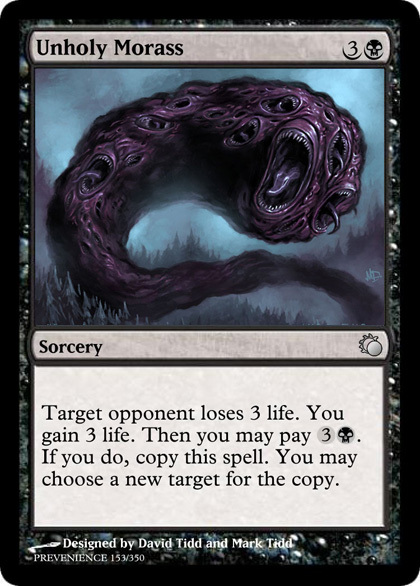 , Sacrifice a Minion creature: Put a +1/+1 counter on Octopede. 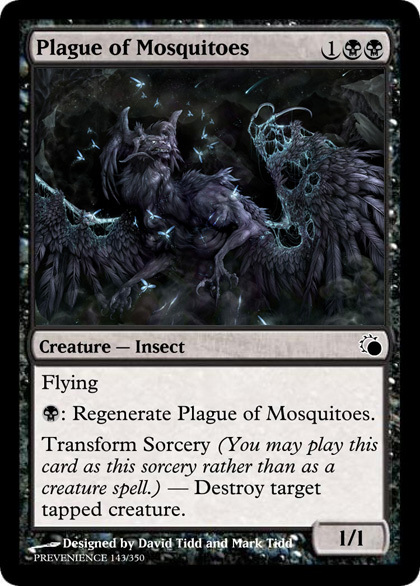 : Regenerate Plague of Mosquitoes. 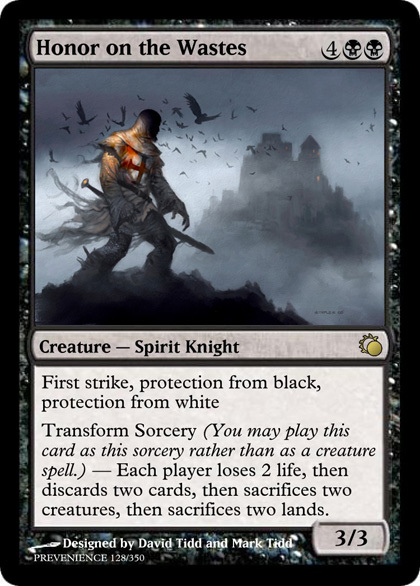 Whenever enchanted creature deals combat damage to a player, put two 1/1 black Minion creature tokens into play. 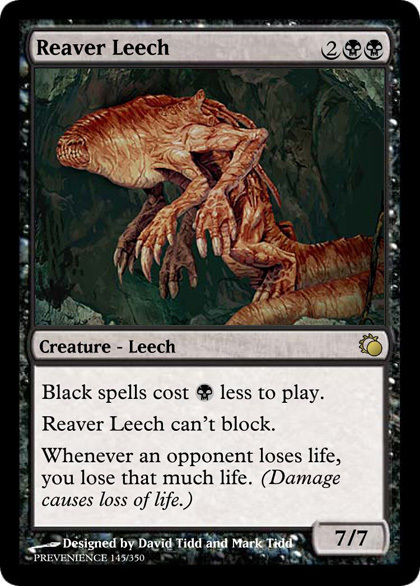 Reaver Leech Creature - Leech Black spells cost less to play. 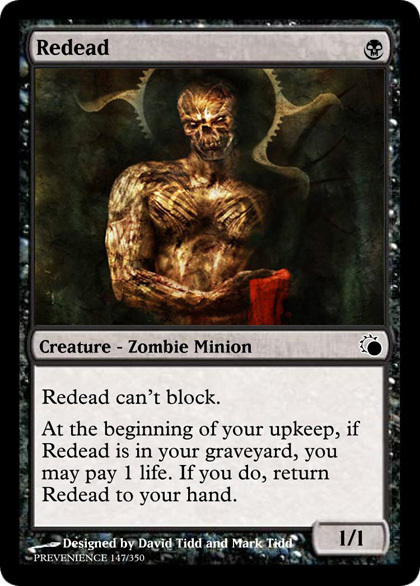 Redead Creature - Zombie Minion Redead can’t block. 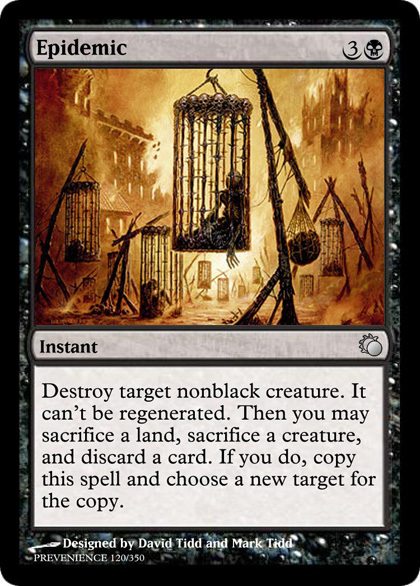 Unnatural Breeder Creature – Beast At the beginning of your upkeep, sacrifice Unnatural Breeder unless you pay . 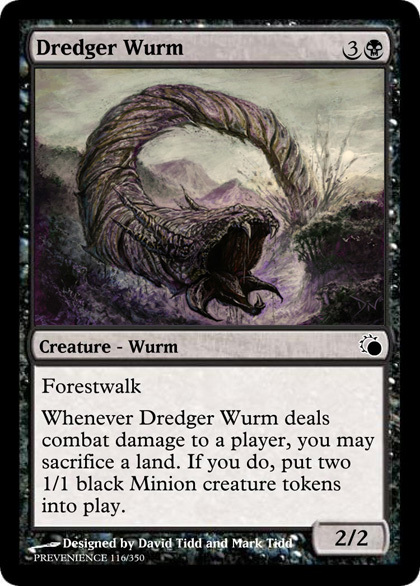 At the end of your turn, put a 1/1 black Minion creature token into play. 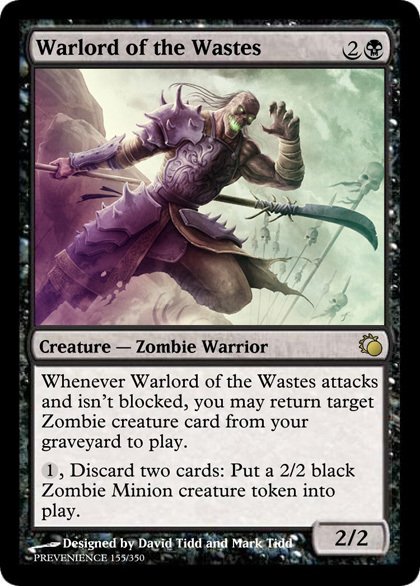 Warlord of the Wastes Creature — Zombie Warrior Whenever Warlord of the Wastes attacks and isn’t blocked, you may return target Zombie creature card from your graveyard to play. 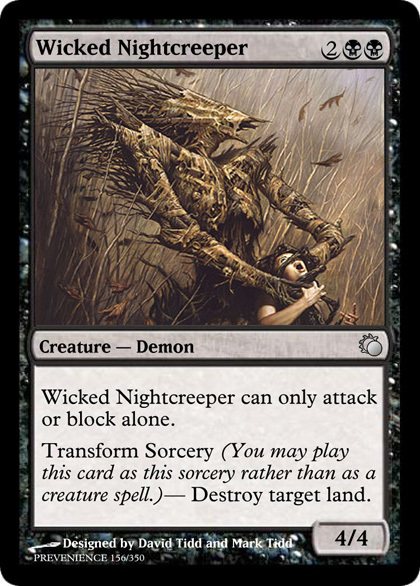 Wicked Nightcreeper Creature — Demon Wicked Nightcreeper can only attack or block alone.